et’s start by explaining what garnishee proceedings is, in monetary claims the judgment debtor is basically the person that is against the judgment or the order that is made or given. But usually it is known as the losing party. The other party that has won the case is known as the judgment creditor and the payment of the money is obtained through the other person. If the judgment creditor is aware of the monies that are due and owes to the judgment by a third party, for example a contractor. Then the judgment creditor should be able to obtain an order from the court to instruct that particular third party to pay the judgment creditor the amount that is due or accruing that is due to the judgment debtor from the third party. This may also include the sufficient amount that will satisfy the judgment or other form of costs which may include that of the garnishee proceedings. 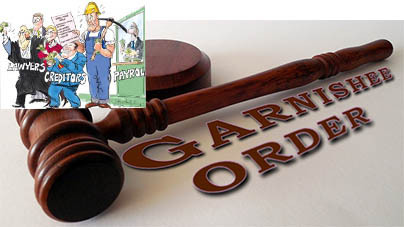 This type of proceeding is known as the garnishee proceeding and it may also include any monies that are outstanding in any bank account of that of the judgment debtor. And thee third party in such proceedings are known as garnishee, which is actually a person that is indebted to the judgment debtor. Does the judgment debtor have the right to demand payment again from the third party if the monies that is owed is being paid by the a third party to the judgment creditor? According to the Subordinate Courts Rules 1980, Order 33, rule 8 of the Garnishee Proceeding, the payment by the garnishee that is in compliance with that of the garnishee order constitutes a being a valid discharge of the garnishee’s liability to the judgment debtor that it is extended to the amount that is paid to the judgment creditor. So this basically means that judgment debtor does not have the right to do so. Is it possible to institute with garnishee proceedings against the judgment debtor? If you can obtained information that a third party is owing the judgment debtor a certain amount of monies and that particular amount of monies is due to be paid at a specific time and if you believe that the information that you have obtained is reliable and accurate then it may work to your advantage to institute Garnishee Proceedings. But before you go take this step you should be aware of a few issues, take this particular situation for example, a judgment debtor owes a judgment creditor the amount of RM6, 000. And in this particular situation the judgment creditor has come across some reliable information to believe that the judgment debtor has a total of RM4, 000 in their savings account from Bank ABC and then immediately proceeds to obtain the Garnishee Order. After the application for the garnishee order has been filed and the judgment creditor then withdraws a total of RM3, 990 from that particular savings account and leaves a balance of only RM 10. However the judgment creditor only obtained the garnishee order after two months after you filed for the garnishee order and they are only able to recover the RM10. The amount that you have successfully obtained is not even sufficient to cover the costs of the garnishee proceedings. So this basically means that the judgment creditor has ended up paying more for the legal costs while only recovering the mere RM10. It would also be wise of you to not inform the judgment debtor of you intention of applying for the garnishee proceedings against the judgment creditor until the order has been successfully obtained. Can the JC garnishee the JD’s monthly salary? If the JD leaves the employment, the garnishee order has no effect anymore,right?